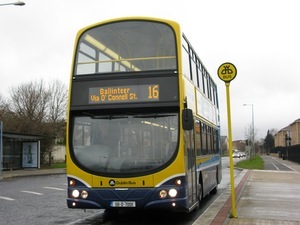 Were You On The Number 16 Today? I know you don’t normally do this but…..my wallet fell out of my pocket on the 16 bus today at T2, Dublin Airport. It has all my cards in it to access any of my monies AND a bigger issue, it would have my visa and drivers license (I’m American). It’s a brown, leather wallet with Red Wing stamped on it and doesn’t have any money but it would hugely appreciated if anyone finds it to contact me so I don’t have to deal with immigration again! If anyone finds it Broadsheet have my details.. Even offer up a few pints if found..
Posted in Misc and tagged We Don't Normally Do This at 6:56 pm on September 6, 2013 by Admin.